We have a 4th of July treat for you. After TWO YEARS, the Matsumoto masterpiece Queen Millennia is back! More secrets are starting to get revealed. Watch the episode to find out what! YAY!!! About time! Hope this means you will keep subbing it from on now. Thanks a lot… thought this project was cancelled… this is great news… keep up the excellent work!!! Holy crap finally, hope you guys finish it! There was an analog fan subtitler called Elora who subtitled the first 8 episodes of Queen Millennia from Laserdisc back in the day, so when you guys released episode 9 I was thrilled to finally see a new episode after six years. Now two years later I get to see another new episode! All kidding aside, thank you very much for the new episode. This is one of my all-time favorite anime series and I’m very excited to see it being worked on. Thanks, everyone. This is my favorite Matsumoto show and I’m VERY glad to see it moving again. oH A BIG BIG THANK YOU! I read 8 volumes of the cine-manga spanning episode 1-27 of the tv series more than 20 years ago. Since that’s all they’d published (I believe)QM has left me hanging ever since. I sincerely hope you will continue with the project. I agree with many here that it is indeed Matsumoto’s crowning achievement (or best tv/movie adaptation anyway). I’ve seen quite a lot of GE999 tv, but I’m one of those infidels who consider QM to be the superior of his scifi works. Arigato! To have my beloved QM completely subbed would be sooo amazing! Thanks a lot for all the hours that go into this! It’s so nice to find out there are so many young people following this excellent show. 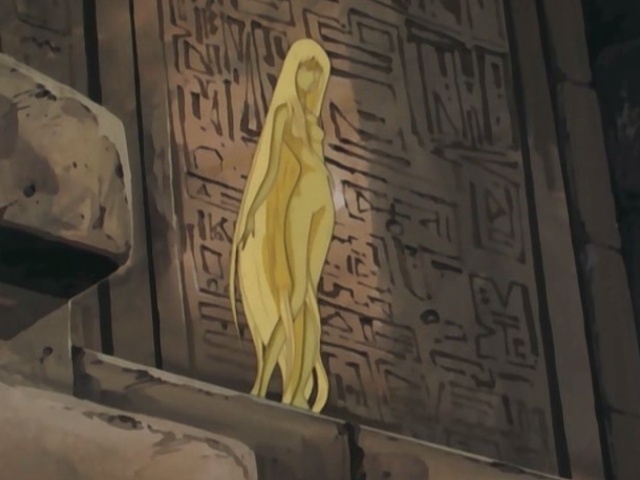 Even though it’ll never be as popular as many other childish stuff, it´s shure that “Queen Millennia” will not always remain as a hidden jewel in the history of anime. Gretings from Mexico.